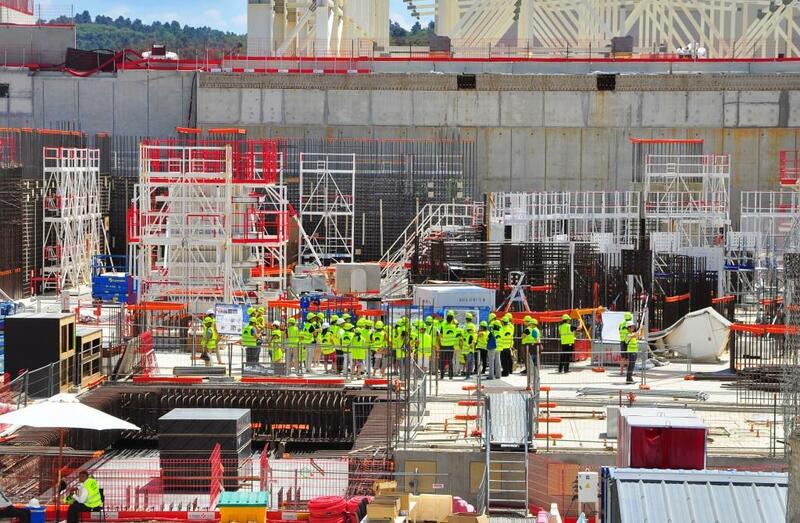 Some 17,000 people visit the ITER site every year but only a few are given the opportunity to enter the Tokamak Pit and stand on the floor of the Tokamak Complex—the Holy of Holies of the ITER Project. 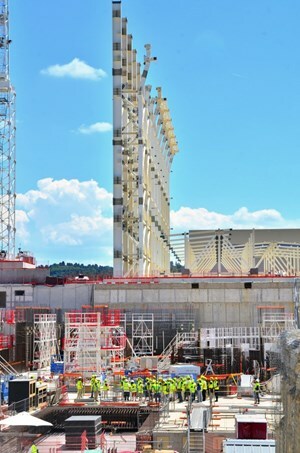 The pillars on the north side of the Assembly Hall basemat add a spectacular dimension to the Tokamak Complex worksite. 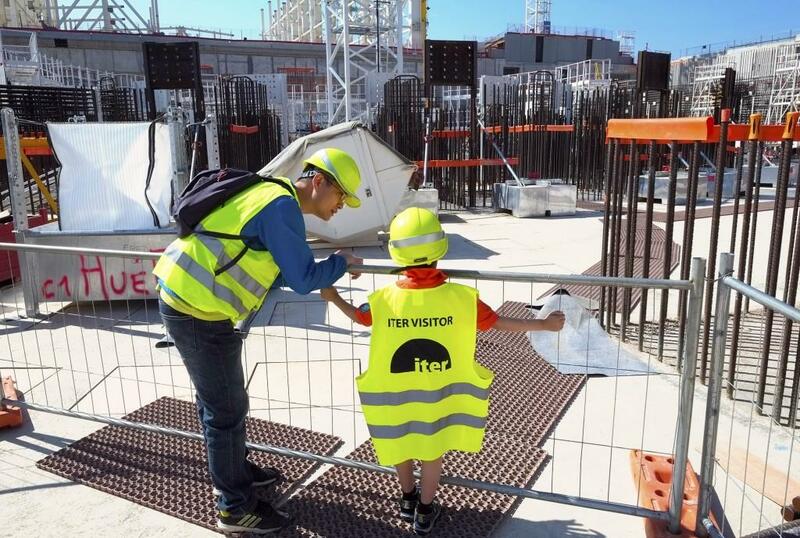 On Saturday 30 May, as ITER's doors were opened wide to the public, some 800 people experienced first-hand the construction of the largest and certainly most ambitious science venture of all times—the quest to mimic the energy of the Sun and stars. The majority had come as neighbours; some had driven all the way from Spain, Italy, or Switzerland... All wanted to see up close what they only glimpsed from afar or read about in newspapers and magazines. And all sought to understand how, by fusing hydrogen atoms in a giant furnace, mankind was on the way to opening a new chapter in its history. Standing on the floor of the Tokamak Complex amid a forest of steel rebar was like standing on the launch pad of a Mars-bound space rocket. The launch pad may not yet be complete—and the rocket not yet assembled—but the feeling of awe was already there. Of course, everything required explanations. What is a plasma? How can it be heated to temperatures in excess of 150 million degrees? What "container" holds it in? Are you certain it's going to work? 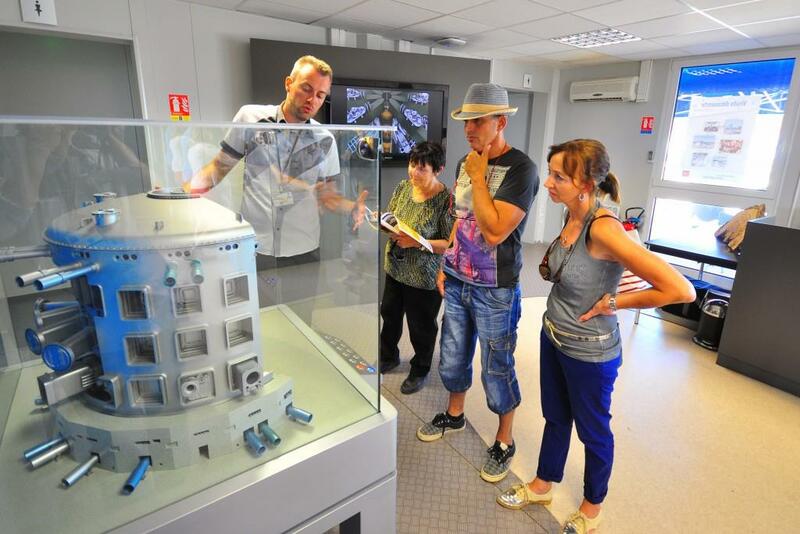 The ITER Communication team, supported by volunteers from the technical and scientific departments of the ITER Organization and by specialists from the European Domestic Agency Fusion for Energy, did its best to explain the hows and whys of fusion energy and ITER in understandable terms. 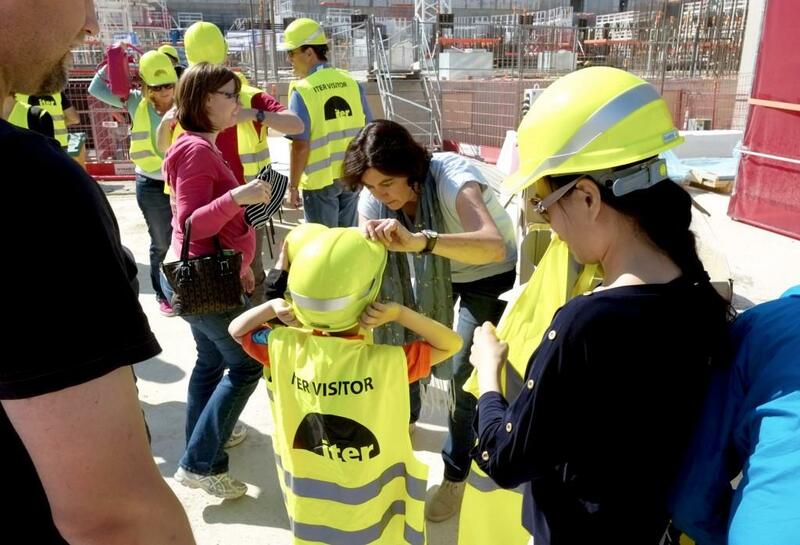 Representatives of Agence Iter France—the agency that acts as an interface with the host country—introduced the youngest visitors to the challenges of preserving the site's biodiversity. 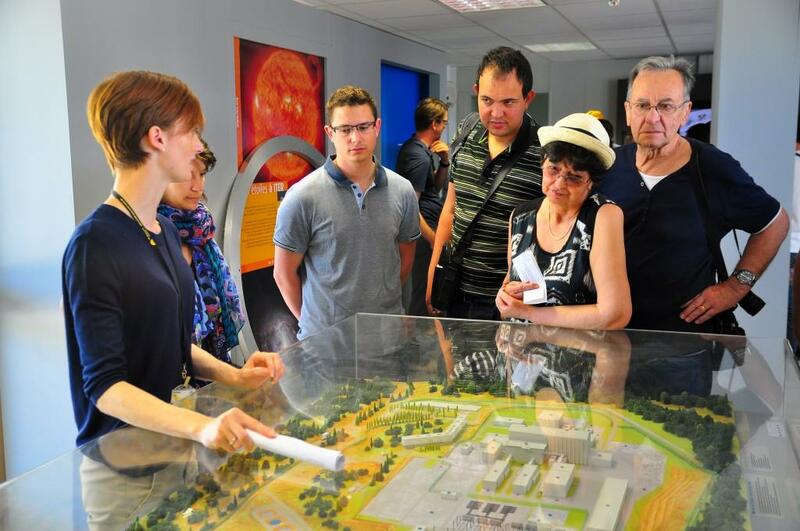 In the buses that drove visitors across the ITER worksite, in front of the tokamak mockup in the Visitors Building, and in the cordoned-off area of the Tokamak Complex, a clearer picture progressively emerged—that of a project which, despite its complexity and challenges, holds a potential key to a better future: access, for the benefit of all mankind, to an unlimited, safe and clean source of energy. 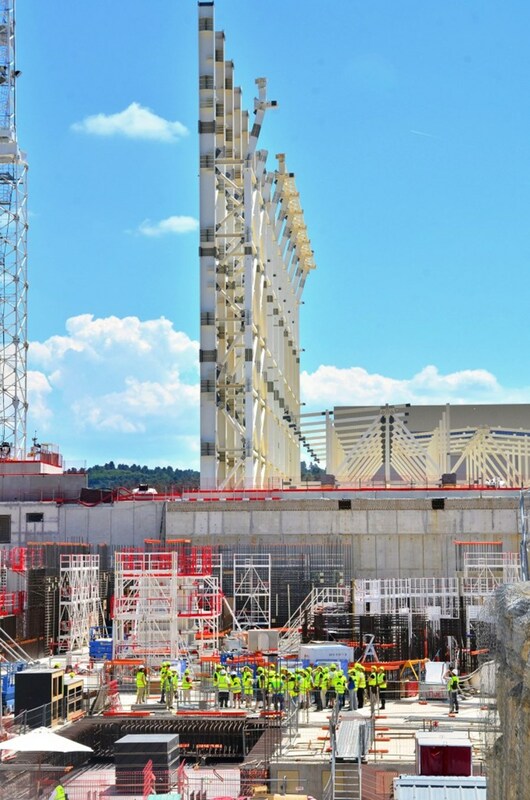 An area of the Tokamak Complex worksite had been cordoned-off for visitors. 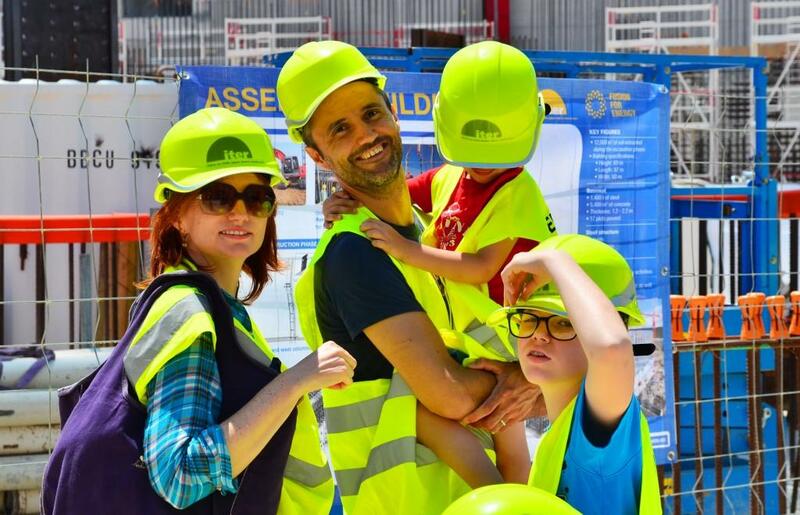 F4E's Romaric Darbour (blue helmet) is pictured here giving explanations on construction progress. Before heading onto the worksite visitors started their tour with a stop at the Visitors Centre, where site and machine mockups, videos, posters and presenters awaited. 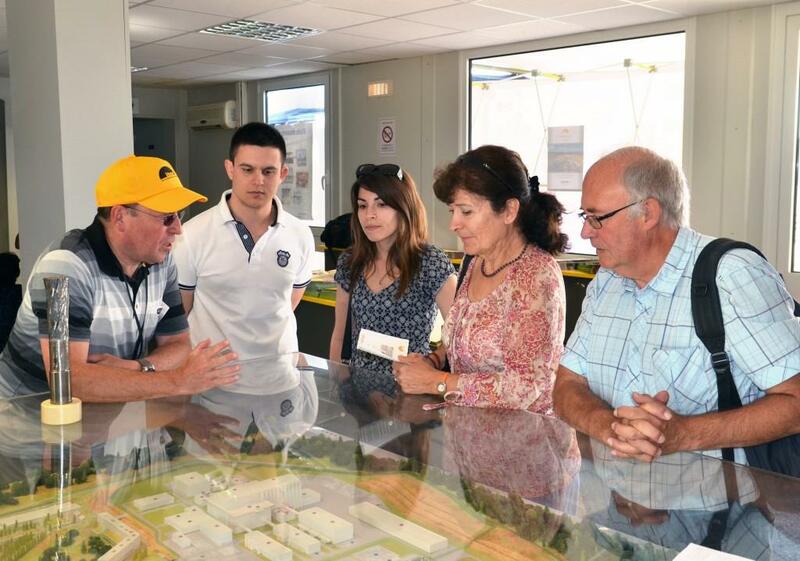 Nearly 30 volunteers from the ITER Organization Central Team (like plasma specialist Gregory de Temmerman, left); the European agency Fusion for Energy, and Agence Iter France contributed to the success of the May 2015 edition of the Open Doors Day. They will remember "having been there" when the massive Tokamak Complex (400,000 tonnes) was still under construction. 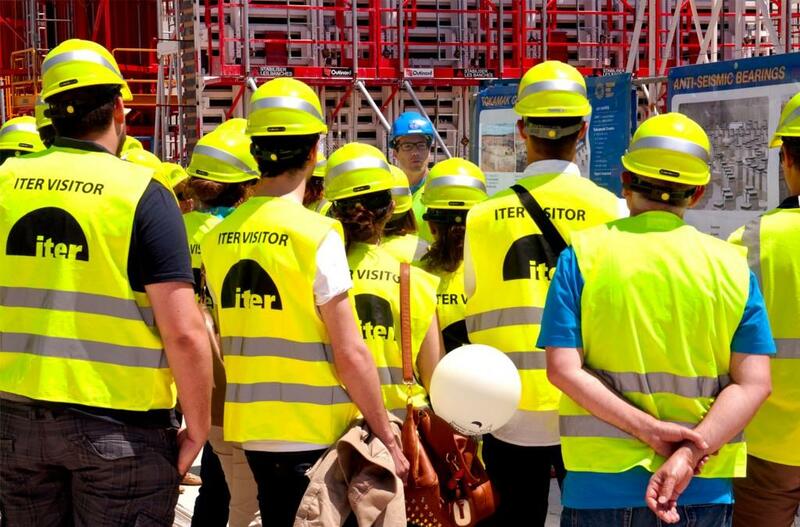 Some 17,000 people visit the ITER site every year but only a few are given the opportunity to enter the Tokamak Pit and stand on the floor of the Tokamak Complex — the Holy of Holies of the ITER Project. 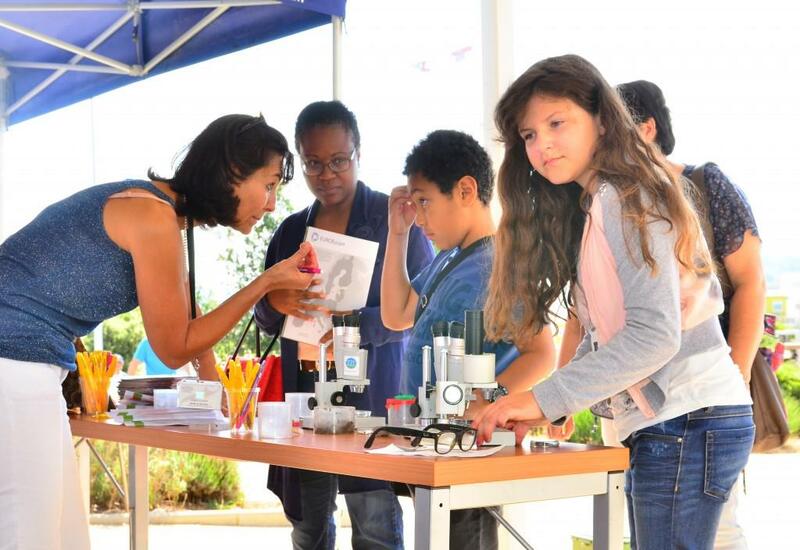 Claire Henriroux (left), an ITER nuclear engineer, contributes her expertise to the May 2015 edition of the ITER Open Doors Day on Saturday 30 May. Michel Claessens (left), acting advisor in Communication, explains the basics of plasma physics. 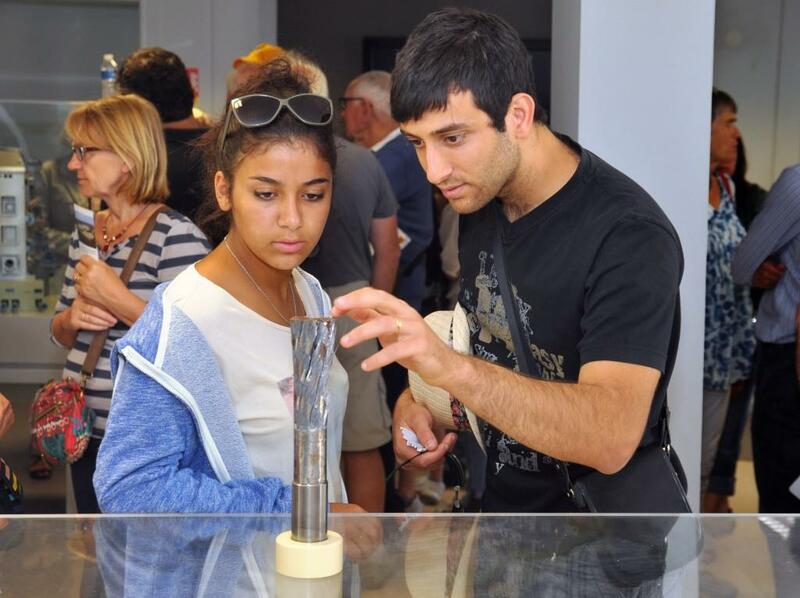 Discovering the complexity of an ITER conductor, made from hundreds of superconducting niobium-tin strands. 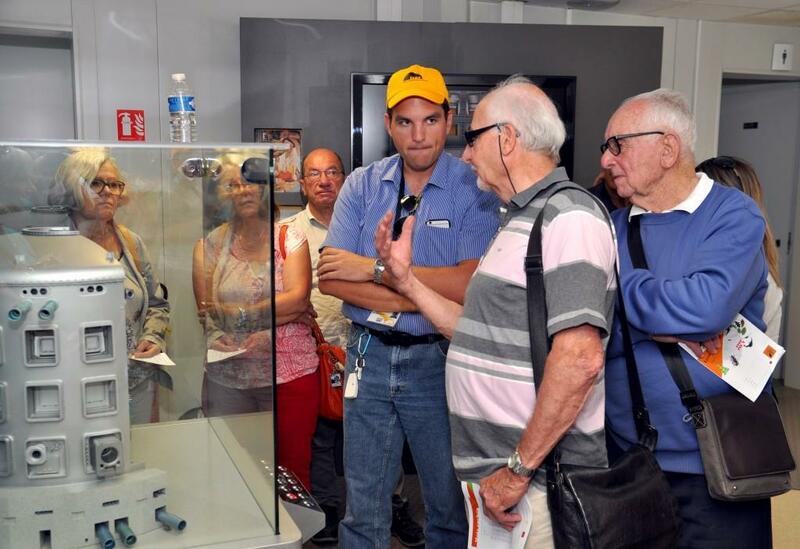 ITER Organization's Axel Winter (centre), an engineer in systems control, considers a connaisseur's question from a retired physics professor. 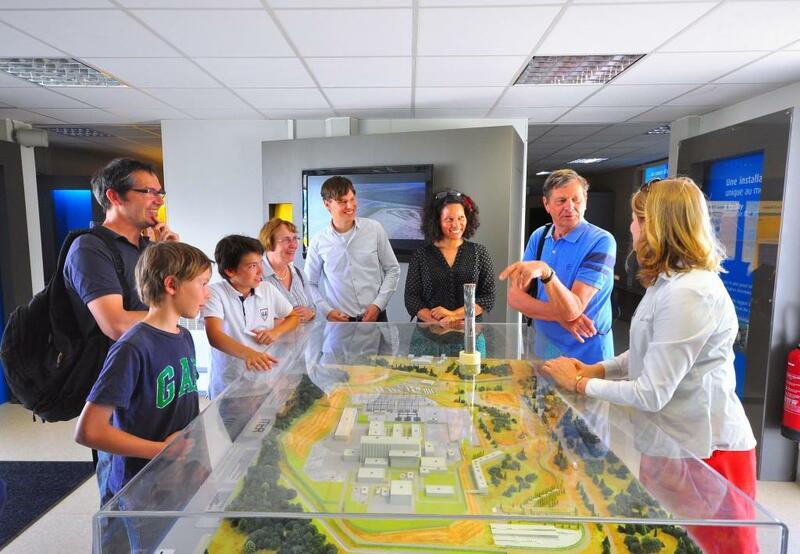 Sylvie André, from Agence Iter France, introduces the youngest visitors to the challenges of preserving the site's biodiversity. 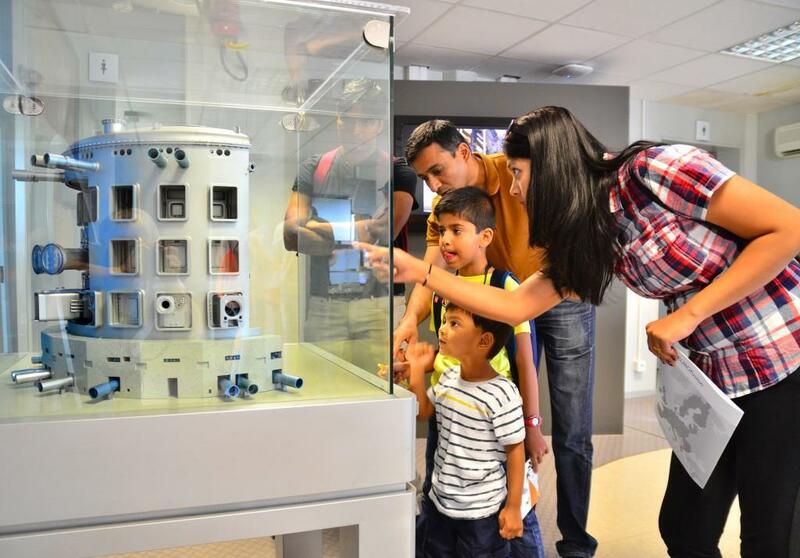 The Tokamak mock-up is a favourite among the younger visitors. It has blinking lights and gives a lasting impression of the size and complexity of the machine.